Pack your day with fun-filled activities: snorkeling, 'submarine' coral viewing, island cultural walk, 35m slide, and unlimited banana boat rides plus optional diving or aquanauts! Nice trip with various activities, lunch also included. The ship and the staffs all are nice. 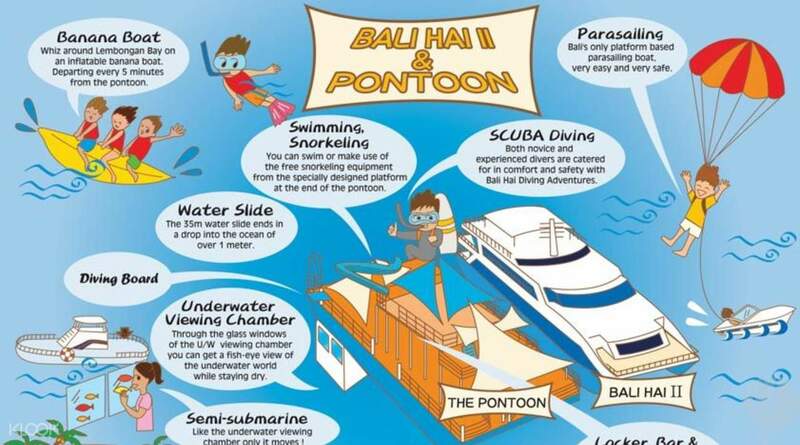 A full day of fun for the whole family – above and below the water - at Bali's neighboring Lemongan Island! Run by Indonesia's leading marine tourism company, their 24 years of experience is evident in the effortless care of the whole family's needs. 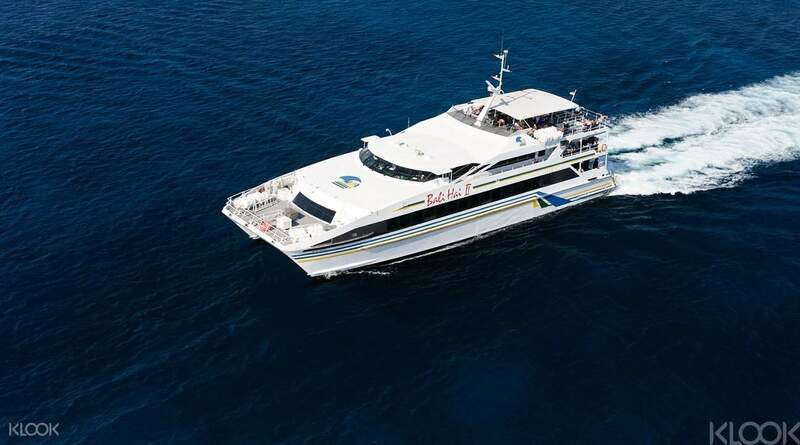 The luxury catamaran cruises daily from Bali to Nusa Lembongan, where you'll moor up for the day so you can swim and snorkel the tropical waters, enjoy unlimited banana boat rides, a cultural tour of the island or the 35-meter waterslide! 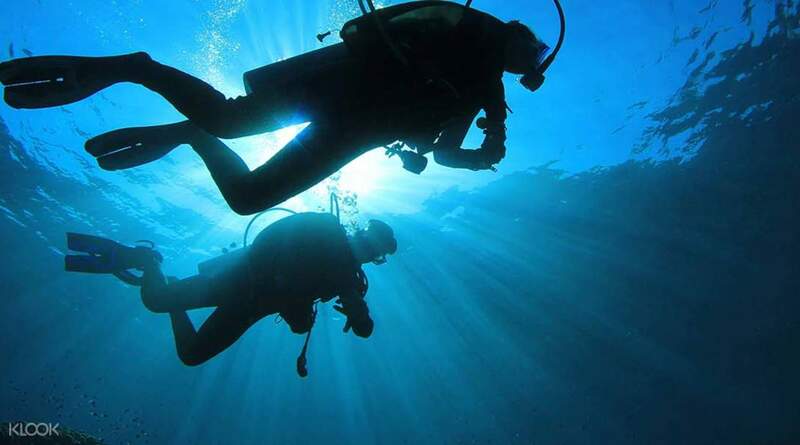 Plus, if you're feeling really adventurous, delve beneath the waves to explore the underwater world by scuba - even if you're a complete beginner! Or trial the 'aquanauts' to experience walking along the sea floor. When you've worked up an appetite, feast on a delicious buffet served in air conditioned comfort on board. 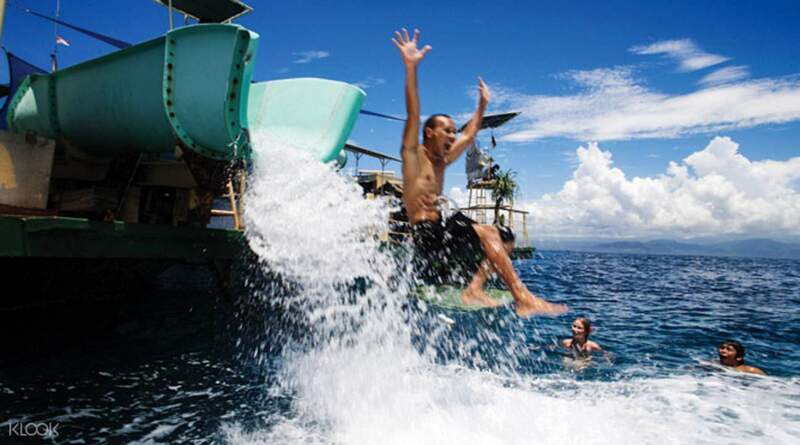 The activity was laid back and well suited for family as many activities can be done besides snorkeling and swimming alongside the ship. You can tour around Lembongan Island and see similar architecture seen in Bali temple and locals weaving. Apart the tour, you can actually stay in Lembongan Island if you want to get away from the city and experience a tropical island life. Surfing's great there too! The activity was laid back and well suited for family as many activities can be done besides snorkeling and swimming alongside the ship. You can tour around Lembongan Island and see similar architecture seen in Bali temple and locals weaving. Apart the tour, you can actually stay in Lembongan Island if you want to get away from the city and experience a tropical island life. Surfing's great there too! We had a great time with Bali Hai. They were organized and on time. The trip going to Nusa Lembongan can get a little rough. I saw some people having a hard time during the trip. They provide medicine for sea sickness though. Snorkeling spots were okay but not the best in Nusa Lembongan. They have an ample amount of staff, from life guards to paramedics. It was fun and will definitely book again. Lunch was delicious and even went for a couple of rounds until they closed. However, the wait staff had a lot on their plate to the point where they perform poorly. Also, you have to pay to use the towels so I suggest bringing your own. We had a great time with Bali Hai. They were organized and on time. The trip going to Nusa Lembongan can get a little rough. I saw some people having a hard time during the trip. They provide medicine for sea sickness though. Snorkeling spots were okay but not the best in Nusa Lembongan. They have an ample amount of staff, from life guards to paramedics. It was fun and will definitely book again. Lunch was delicious and even went for a couple of rounds until they closed. However, the wait staff had a lot on their plate to the point where they perform poorly. Also, you have to pay to use the towels so I suggest bringing your own. it was a great adventure and wonderful experience . it was awesome experience and must have activity in Bali. it was a great adventure and wonderful experience . it was awesome experience and must have activity in Bali. It was best experience of my Bali visit. We enjoyed a lot and had a day full of fun. It was best experience of my Bali visit. We enjoyed a lot and had a day full of fun. It was one of the amazing full day cruise activity. We enjoyed till the end with amazing hospitality, island walk through and bunch of water activities. It was one of the amazing full day cruise activity. We enjoyed till the end with amazing hospitality, island walk through and bunch of water activities. We were a bit cautious when choosing this experience but it turned out to be an amazing worthwhile day. Shuttle service worked out well, the boat ride was tough for someone who gets sea sick but on location there was lots to do and it was super positive. Lembogdan was beautiful and time just flew by. We even talked about taking another trip juat like this one :) I’d definitely reccommend this trip! We were a bit cautious when choosing this experience but it turned out to be an amazing worthwhile day. Shuttle service worked out well, the boat ride was tough for someone who gets sea sick but on location there was lots to do and it was super positive. Lembogdan was beautiful and time just flew by. We even talked about taking another trip juat like this one :) I’d definitely reccommend this trip! The venue managed to extract more money from us by offering a certificate of recognition—not a license to scuba dive—as we were told upon checking in in the morning. Moreover, the underwater photos and video are great but costs too much: the soundtrack is pirated so there is no sound after I posted and shared it on Facebook. I would not recommend to my friends, despite the tour’s decent quality. The whole thing ended up costing more than $200 USD per person. The venue managed to extract more money from us by offering a certificate of recognition—not a license to scuba dive—as we were told upon checking in in the morning. Moreover, the underwater photos and video are great but costs too much: the soundtrack is pirated so there is no sound after I posted and shared it on Facebook. I would not recommend to my friends, despite the tour’s decent quality. The whole thing ended up costing more than $200 USD per person. Thank you for raising your concern to us. We sincerely regret to hear that you had unsatisfactory experience and we take your feedback extremely seriously. Please be informed that this activity does not including any certificate after the scuba dive. Hence, extra charges may apply if you are require the certificate. Your understanding will be much appreciated. We hope to serve you better in the future. Thank you for raising your concern to us. We sincerely regret to hear that you had unsatisfactory experience and we take your feedback extremely seriously. Please be informed that this activity does not including any certificate after the scuba dive. Hence, extra charges may apply if you are require the certificate. Your understanding will be much appreciated. We hope to serve you better in the future. Great and very funny if you go with your family or the gang. But very hot in island. Great and very funny if you go with your family or the gang. But very hot in island.